Brand New Engine and Outdrive, Installed Late 2009. Volvo Penta electronic cathode system installed. Racor primary filter installed and plumbed. Electrical fuel shut off valve installed. 4 x Jabsco ventilation fans and ducting fitted in engine room. Flat screen TV and DVD/Freeview installed. External sound system and Kenwood head unit. This is a great weekend starter boat for someone with plenty of internal and external living space. The wide beam gives a nice feel and boat has a decent range of electronics. The 2009 Volvo Penta with it's electronic controls and read out is great and gives up to the minute information on the engine. She was antifouled in early 2018 just before going into the water for the season. 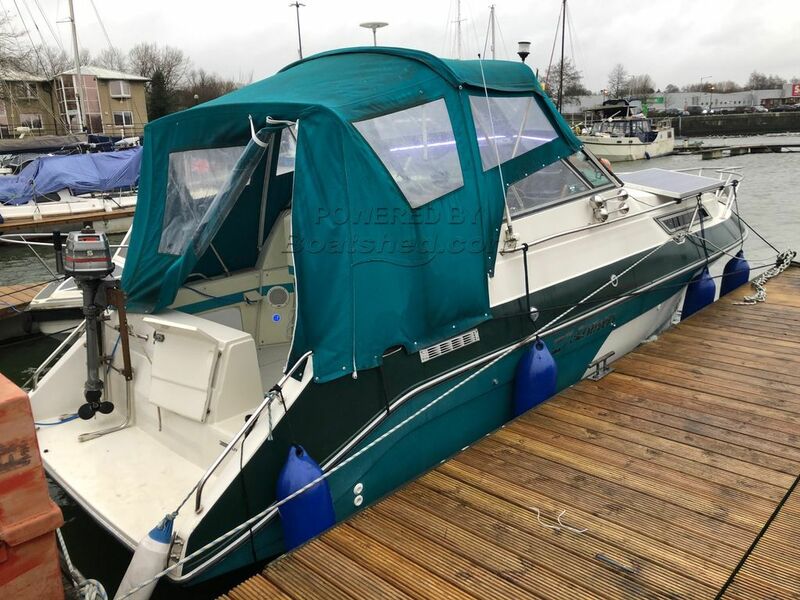 There is a trailer available with the boat for £2,500 if needed. This Cruisers 2570 has been personally photographed and viewed by Paul of Boatshed Lancashire. Click here for contact details.